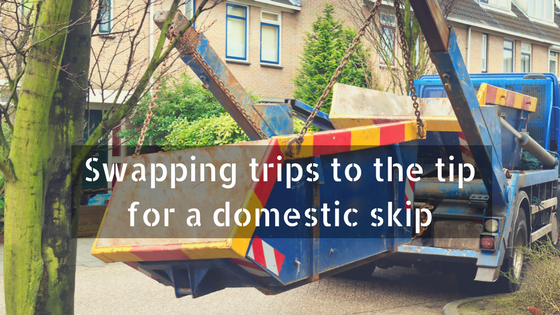 Domestic skip hire may be something that you’re interested in, but you don’t necessarily know much about it. Let Bolton Skip Hire walk you through the basics of domestic skip hire in Bolton and skip hire in Chorley today. 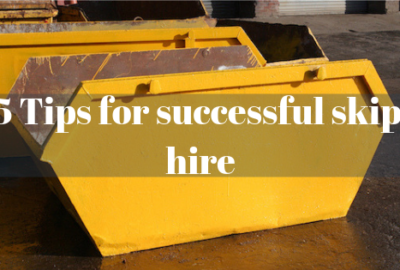 If you want to get skip hire right, you need to make sure that you choose a reputable skip hire company. 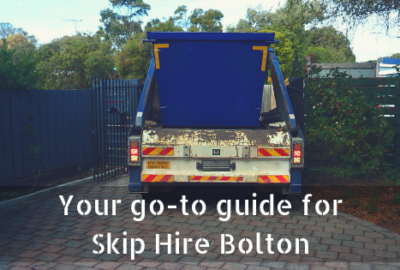 Here at Bolton Skip Hire, we can help you to find skip hire in Bolton that’s affordable, taking into consideration your specific requirements in terms of budget and the volume of waste your project generates. Loading your boot up with bin bags allows you to get rid of waste as of and when you generate it. To prevent the number of trips taken back and forth to the tip, you may consider keeping hold of waste until you have enough to fill your car. Wheelie bins that are full to the brim (so much so that the lid cannot close) can be refused, leaving you with a heap of waste to get rid of. At Bolton Skip Hire, we recommend our tipping facilities if you expect your project to generate insufficient waste to fill a skip. If you’re looking to dispose of your waste as soon as you generate it, our tipping facilities are ideal. Rather than leaving your waste to clutter up your drive, why not bundle it into the boot of your car and drive it to the tip? When filling your car with unwanted junk, it’s an idea to lay old blankets or sheets down first, although this won’t completely protect your interior from scratches and scrapes, it reduces the severity of the damage. Any sharp objects could tear your seats whilst any liquids could stain the carpets in your footwell, however, this needn’t be the case with skip hire Chorley! 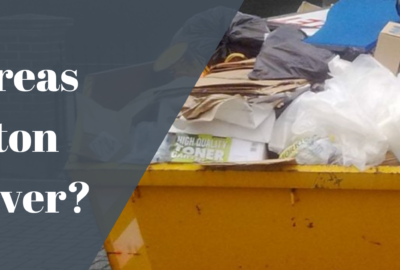 Taking your waste to the tip is a suitable alternative to overloading your wheelie bin with waste, but how sustainable is it when compared to hiring a skip? Choosing a suitable size skip has never been easier; we supply a complete collection of domestic skips, ranging from 2-cubic yards, all the way up to 16-cubic yards. Bolton Skip Hire provide something suitable for everyone, so no matter how big or small your project is, you’re bound to find a skip that can store your waste reliably. 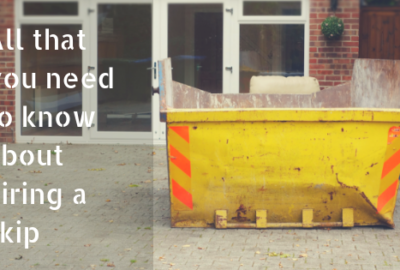 Skip hire in Leyland is arguably more convenient than any other waste disposal service. We arrange to deliver Leyland skips at a time that suits you best. If you’re out during the day, we can arrange to deliver your skip in the evening, likewise, if you’re unavailable during the week, we can drop your skip off at the weekend. For skip hire in Preston, we transport our skips on the back of our reliable fleets. Traceable technology allows Bolton Skip Hire to deliver skips on time, every time. As well as this, the cost of skip hire in Preston includes skip delivery and collection. Once your skip is full, all you need to do is call us on 01204 383 737 and we will remove the skip from your premises-it’s that simple! Our skips reduce the number of trips that you need to make to the tip. By disposing of your waste inside a Wigan skip, you’ll be able to finish your project sooner and concentrate your efforts on other aspects of your project. By swapping your trips to the local tip for a domestic skip, you’ll reduce the volume of waste that’s sent to landfill, year on year. Instead of tipping waste from home renovation projects, Bolton Skip Hire take your waste to the recycling centre where we aim to recycle up to 90% of all the materials found inside your skip. With landfill taxes on the up, there’s no better time to invest in Wigan skip hire! We make sure that all waste is disposed of effectively, adopting a 0% landfill policy. The team at Bolton Skip Hire are always on hand to provide you with any expert advice and support that you require- free of charge- be sure to contact us to discuss your needs in detail today!